Save on your purchase from MyBottleShop with a MyBottleShop coupon code. 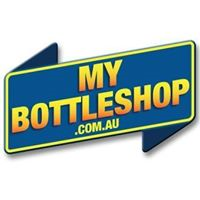 MyBottleShop is an online store that has over 4000 drinks and gifts that you won't find in your average supermarket liquor store. Top shelf spirits, unique gift ideas, craft beers, tasty liqueurs, bar gifts, and glassware. Shipping is fast and free for orders over $100.